The world of online marketing continues to grow larger and more competitive day by day. This means that all business ventures looking to achieve results need to optimize their efforts. This process of optimization begins with their website. The reason for this is that a website is the core of all online marketing efforts. It needs to be a fast loading and responsive structure in order for all campaigning efforts to be successful. Today, we are going to look into the most important reasons why you need to have a mobile-optimized website. There are still more than 30% of all active small business websites that don’t have mobile responsive features. These business ventures are seeing huge drops in sales because their competitors have made the changes required to stay competitive. This is a very serious issue because it makes it very hard for those business owners to maintain steady sales and increased engagement. When a website lacks responsive features, it becomes entirely limited to regular browsers. This happens because most mobile search engines don’t even index websites that don’t have responsive designs. The results people get on Google for mobile are not the same they are getting for Google on desktop and laptop browsers. This translates to losing close to 79% of the modern market. Yes, the world is soon going to be overwhelmingly mobile. This means that most consumers are going to be browsing the web from their smartphones and not on their laptops. The modern consumer has become quite demanding in terms of navigation and responsiveness. They are very likely to drop a website and look for another option in the same nice if they feel that the website provides bad navigation on their device of preference. The surveys say that at least 8 out of 10 people will leave a website soon after they see this issue. Imagine losing 80% of your chances to engage clients. This is definitely not a good way to go about any kind of business venture and that is an alarming problem. To make matters worse 60% of the people who leave are also going to avoid going back to that website in the future. Most of them will go to a competitor’s website and never look back. This is extremely damaging due to the large number of users that will choose someone else for their needs. Every single business venture that optimizes their website with responsive features is able to achieve better results in engagement and sales. 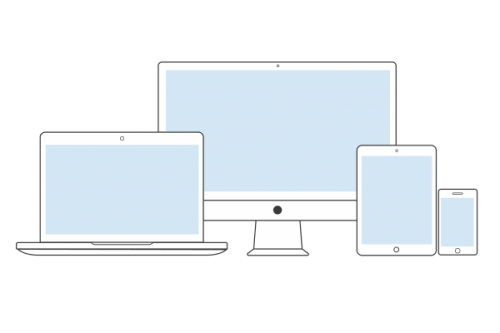 It’s undeniable to see that there is great influence that is related to responsive design. The biggest issue that business owners are facing now is that they are losing sales day by day. They are seeing competitors rise while their numbers plummet. They are often unable to figure out why this is happening until it becomes obvious that their internet efforts are not working. The important thing here is to raise awareness of the importance and value of having a responsive website. It’s not simply some marketing gimmick that web designers are pulling on their audiences. It’s definitely a lucrative business for designers, but it has been born out of a true need for optimization. This legitimate change is essential for success in modern times. To truly optimize conversions for mobile, you need to create mobile responsive tables. 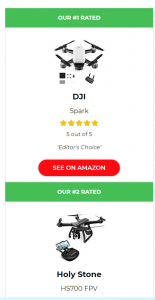 If you are creating product comparison tables, you want to make your product ranking order clear and make sure your call to actions are not bleeding off the page. Many of the standard table creator plugins for WordPress (Tablepress being the main culprit) will not show your CTA when it is placed on the furthermost right side of the table. Instead, you are better off creating mobile responsive tables that “transform” for each responsive category. 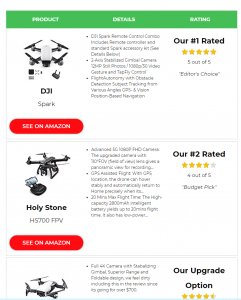 The niche site, Buy Best Quadcopter, which is built around selling drones does this well. 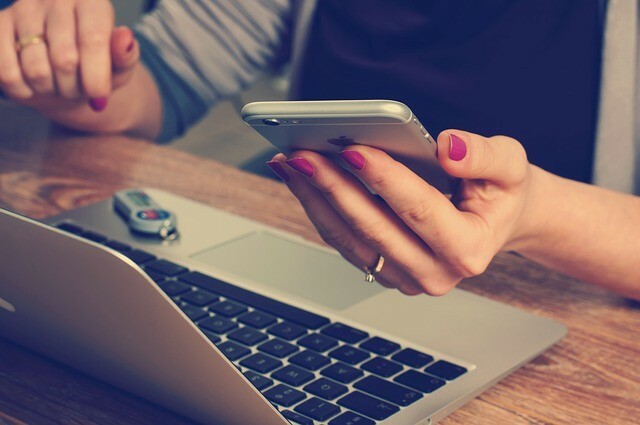 If you own a business that seems to be losing sales and engagement, you need to optimize your website and start engaging more clients online. The best thing to do is reach an expert that can give you a good evaluation of your current site. This is going to give you the chance to see how things are and what your next step needs to be in order to upgrade your marketing efforts. It’s always a good idea to look for experienced web designers and marketers that are going to provide accurate and useful information. The sooner you get this process started, the easier it will be for you to bounce back into a competitive state. You should take the time to look into this and ensure optimal results for your needs. Marketing continues to evolve faster and faster as we go deeper into the digital age. The most important thing is to take action now so that every business venture can prepare for future changes. Times are only going to get tougher for those who stay behind and forget the value of upgrading their websites. The good news is that there is still time to make those changes and regain a competitive edge. There is plenty of room for competition, as long as everyone is ready to evolve and maintain their spot in the race. Previous Post Digital Marketing doesn’t work for Small Business?